OK, yes, I admit it. I'm maybe slightly too old to be crushing on 34 year-old celebrities. But on the other hand, that's only 13 years younger then me. That's not so bad, is it? Or does that make me a soon-to-be card-carrying member of the National Cougar Society (my happily married status aside)? Well, whatever that makes me, I have almost no shame in saying that I have a huge crush on Ian Somerhalder, and his ever-so-hot-vampire-alter-ego, Damon Salvatore. So sue me. I can't help myself. And frankly, I don't want to. The man is H.O.T. Anyhoots, since I'm such a big fan, and since I need to add to The Vampire Diaries category on the blog, I thought I'd post a few Damon/Ian-related memes, just on the off chance that any of you are Damon/Ian fans too. But if you're not, I'm only too happy to try and convert you. I made the first two memes, and the other one I found while surfing Pinterest. Now come on...it's not just me, right? Whether you watch The Vampire Diaries or not (or you've loved him since he played Boone on LOST like me), you have to be able to appreciate that kind of hotness. Am I right? And if you are in fact a die-hard TVD fan like myself, well, you already understand. OK, I think this WTF Wednesday image will speak for itself. 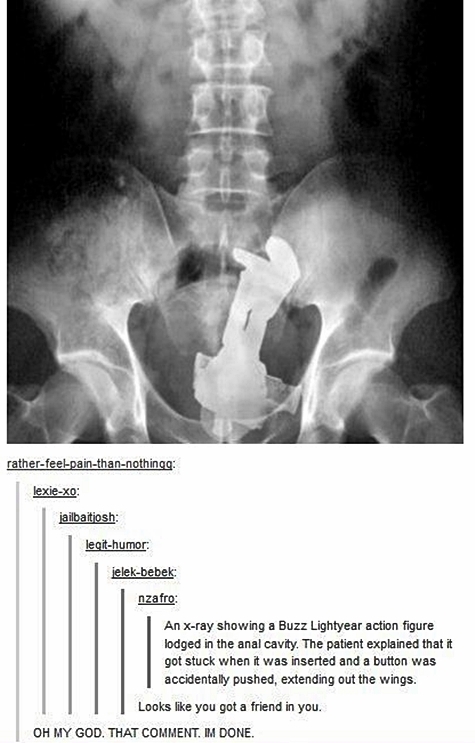 Be sure to read the comments in the photo itself. And I dare you not to laugh. 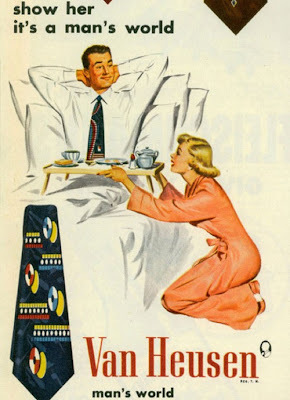 I thought I'd post some vintage ads for your (Semi) Wordless Wednesday. I mean, come on. That crap is hilarious. 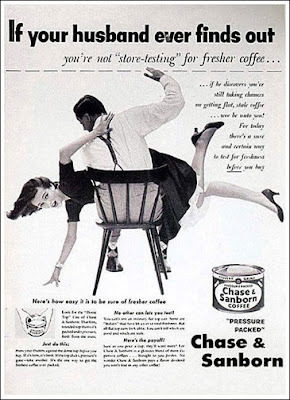 Although, I must admit, that second ad did transport me to a 50 Shades of Grey kind of moment. 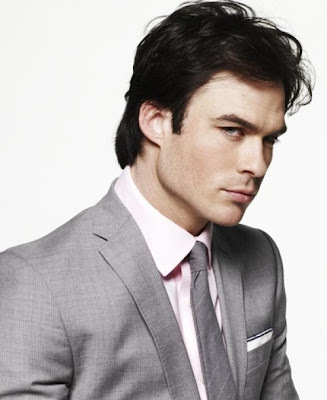 And when my brain goes to 50 Shades of Grey, it also immediately and inexplicably goes to Ian Somerhalder. If you've read 50 Shades, and if you love Ian Somerhalder and soooo want him to be Christian Grey like I do, certainly you understand what I'm saying. 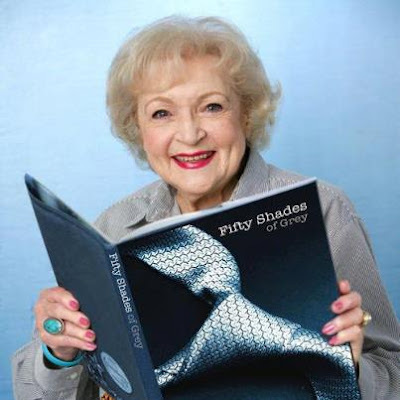 Right, Betty? OK, leave it to me to turn a post about vintage ads into one about 50 Shades of Grey. What can I say? It's a gift. Unlike my gift of being able to create a (Semi) Wordless Wednesday post with relatively few words. Clearly I need some help in that area. Let me start this post by saying, unequivocally, that I love my husband. Some might say I even adore him on a good day. He's my love, my friend, my hero, and the never ending totter to my teeter. Friday evening was just such a time. The Hubs and me (and yes I'm aware of the grammar error here--I'm acting the linguistic rebel today) were driving home from the store and the Hubs was waiting for a call from someone, and he had a list of questions standing by that he wanted to ask when he got the call. So finally the phone rings and he answers the phone. OK, so he's driving with one hand, with his phone in the other, and he needs that list of questions. So what does he do? how to hold that pesky steering wheel! Method of the Hubs' choice? His knee. Yes, you heard me. His KNEE. And it's like he's completely oblivious to the clear and present danger of DRIVING WITH NO HANDS! So, in the calmest voice I can muster, I say to the Hubs, "Please pull over, Mister." And as he begins to do so, he's telling the caller, "Hold on a sec, the wife is freaking out because I'm on the phone." Um, wait just a freaking minute there, fella. The wife is not "freaking out" because you're "on the phone." She is freaking out because you have a phone in one hand and a piece of paper in the other--which you are reading from as you steer the car with you freaking knee! Earth to man, hello, is anyone home? Because I'd like to arrive there alive and in one piece! I think my "freaking out" is totally justified under the circumstances. I also think that driving with at least one hand on the steering wheel is somewhat of a good idea. Call me crazy, but I'm thinking that's kind of a law or something. Needless to say, we did survive the no-handed-driving-while-talking-on-the-phone ordeal. And I got a blog post out of it, and an excuse to use a Brad Pitt gif to express my feelings about the incident in question. So all in all, I guess it was a worthwhile experience in the end. Pretty much. Labels: Brad Pitt, Reaction Gifs, The Hubs & Me, WTH?